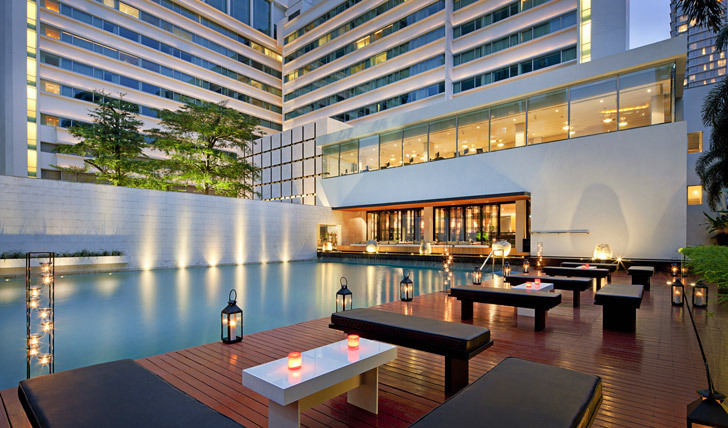 Cool, sleek and contemporary, this Bangkok bolthole is a buzzing hot spot to hit when visiting the Thai capital. Its east-meets-west design combines local makha wood and brass panelling along with artwork from some of Asia’s most up and coming artists. Based in the heart of the buzzing city, the Metropolitan has simple, elegant and light-filled rooms, award-winning cuisine, and even a Como Shambhala Urban Escape spa for the ultimate in city relaxation. Zen-like spaces fill the hotel and there is a seriously chic bar serving up delicious cocktails by trained mixologists. In the heart of the city, just 30 minutes drive from Bangkok international airport, the Metropolitan is perfectly positioned to explore the city. From the standard ‘city’ rooms to the full-on penthouse suites, each room at the Metropolitan has clean lines and fresh décor with a subtle Asian feel. Whichever room category you choose, you’re guaranteed luxury with 500 thread-count Egyptian Cotton bed sheets, fine goosedown duvets, delicious COMO Shambhala bathroom products, a TV, a DVD player, a yoga mat (naturally), fresh fruit, bottled water, and even an electronic ‘do not disturb’ sign. There’s something about the calming atmosphere of this hotel that makes it the perfect retreat from the hustle and bustle of the city. Maybe it’s the high ceilings, perfect balance of attentive staff and your own privacy… or maybe it’s the cocktails set to the beat of the DJ in the bar. 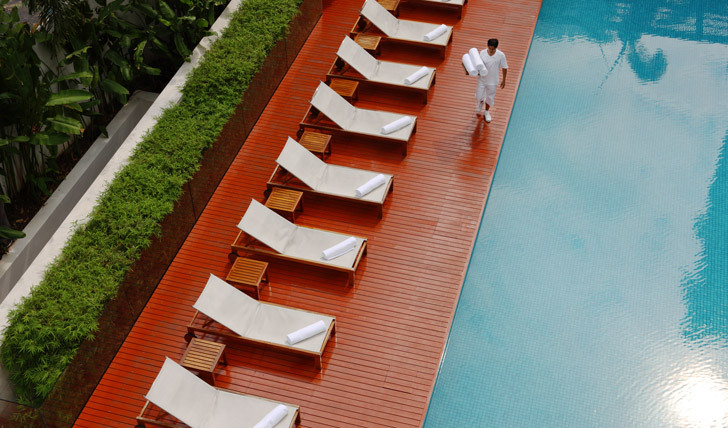 Not to mention the Comoshambhala signature spa. Whatever it is, we highly recommend it.